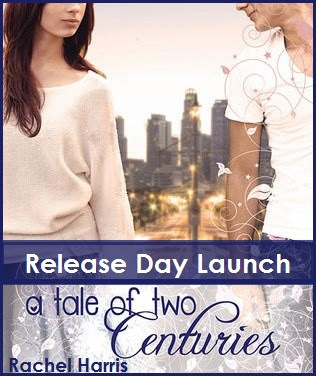 Today is the release day launch (arranged by InkSlinger PR) for A Tale of Two Centuries by Rachel Harris! This is the second book in Harris's My Super Sweet Sixteenth Century series. Here's some info about this amazing looking book -- make sure you read to the end for the GIVEAWAY! When not typing furiously or flipping pages in an enthralling romance, she homeschools her two beautiful girls and watches reality television with her amazing husband. Taste The Heat is her adult romance debut. She’s the author of My Super Sweet Sixteenth Century and A Tale of Two Centuries. She loves hearing from readers! Find her at www.RachelHarrisWrites.com. Rachel has an amazing opportunity for readers right now, as well. 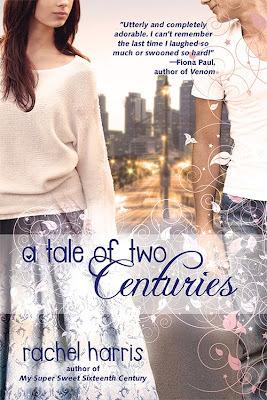 If they forward their receipt from their purchase of A TALE OF TWO CITIES during release week to rachelharris1@gmail.com, they will be sent an exclusive Austin trading card, a ticket to Less’s play and a signed bookplate. Take note that the purchase must happen during release week. And finally ... THE GIVEAWAY!